Leaving the Statehouse for lunch at the North Market? How about dipping out of the Main Library to read at Bicentennial Park? 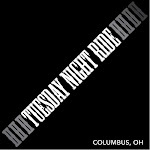 Columbus hopes you’ll ditch your four wheels and an engine for two wheels and a set of pedals. The city has decided where its 30 CoGo bike-share locations will go when it launches the program this month. Kiosks will be posted as far north as the intersection of High Street and 2nd Avenue and as far south as Schiller Park. The program will have stations in the Arena District, at COSI, and at the Main Library and the Livingston Park branch. The system will have 300 bikes spread across the stations, said Heather Bowden, general manager of CoGo Bike Share.